Dr Jeyam has been with the practice since 2004. She is the practice’s GP Trainer. 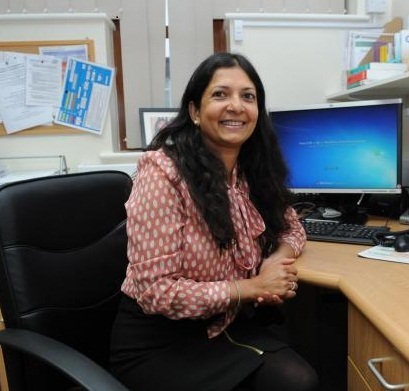 As well as a full general practice service, she has a special interest in child health and diabetes. Dr Jeyam is also the Clinical Lead for the Bolton GP Federation. 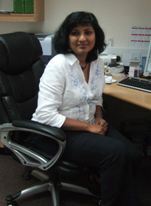 Dr Jesudas is the newest member of the partnership and joined us in 2010. She is the practice’s GP Trainer. As well as a full general practice service, she has a special interest in respiratory and is the prescribing lead for the practice. Dr Kathuria is our salaried GP. Rachel is part-time. She is available all day Monday, Tuesday and Wednesday. Our reception team are your first point of contact for appointments, prescriptions and general administrative advice. Shahida is with us all day Friday and holds one clinic per week in which she sees patients who need an 6-12 monthly review of their medications. She then supports the doctors with medication queries, reconciling medication after a patient has been in hospital, requests from the hospitals to change any of their current medications. Ambreen also supports the practice with our drug safety audits which we do to ensure that the practice are prescribing safely and effectively. Janette Pritchard (f) is our Health Improvement Practitioner at the practice. She is with us all day Mondays and Thursdays. Janette works alongside our clinical team to support health prevention programmes. *Patients at risk of developing diabetes. *Patients at risk of developing a cardiovascular disease. Ian Hadlow (m) is our Mental Health Practitioner (MHP) who joined our our team in August 2018. He is with us every 2nd Tuesday. The MHP is an experienced qualified mental health specialist who is employed by the Greater Manchester Mental Health Foundation Trust and commissioned by the Bolton Clinical Commissioning Group. The MHP will be working as part of a neighbourhood of practices and will be running clinics for our patients at our surgery. *First point of contact at the practice if you have anxiety, depression, low mood. You do not need to see the doctor first, our MHP will have the better expertise to manage your symptoms. *Second point of contact if you have seen a doctor and you or the doctor feels you require further advice or treatment. Our MHP can provide brief interventions, spend more time exploring your symptoms/problems and provide specialist advice/ongoing referrals to the Primary Care Psychological Therapy Service (where required)/safety and management plans. They will also provide support to our team of doctors and nurses. Will McDermott (m) is our Musculoskeletal (MSK) Practitioner who joined us on 25 March 2019. If you have MSK condition - i.e. low back pain, hip pain, knee pain, arm pain etc. you will be able to book an appointment with our MSK practitioner instead of seeing the doctor. Jayne Spotswood (f) our Focused Care Worker, she can help with health & social issues. Please be aware that you will be asked what you are booking an appointment in when you ring the practice to arrange an appointment so that our Reception Team can book you in with the best person to manage your symptoms/problems. We appreciate you co-operation so we can help you.